This week, in Wilmington, North Carolina, Daryl Atkinson of the Southern Coalition for Social Justice described his journey from incarceration to decent employment. In the 1990s, Atkinson was arrested on drug charges and served a prison sentence of more than three years. 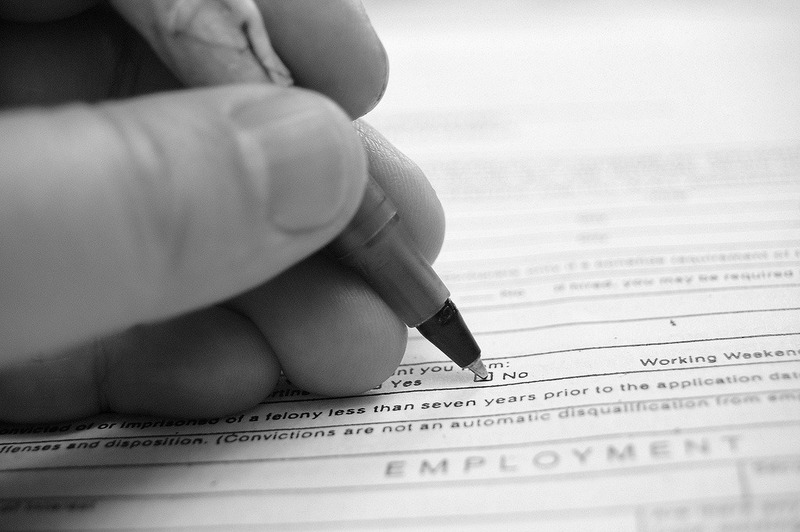 Atkinson’s success reflects the increasing activism of the “fair-chance hiring” movement, which calls for employers to “ban the box” on job application forms that requires applicants to reveal whether they have ever been convicted of a crime. Inc. reports that some 200 national and state groups have endorsed “ban the box,” including the American Civil Liberties Union and the National Employment Law Project. But an EEOC agenda of challenging companies that create barriers to employment through revelations of criminal conduct at the application stage isn’t the same as an executive order from the sitting president or a new law passed by Congress. Advocates want President Obama to issue an executive order specifically directing federal agencies and federal contractors not to ask about applicants’ criminal convictions at the application stage of the hiring process. The “box” means that many of the 70 to 100 million people who have served jail time don’t get an opportunity to take jobs that they would be suitable for. The various states and localities that have enacted fair-chance hiring rules generally don’t prevent companies from looking into criminal records later in the hiring process, typically after a first interview and before a job offer. Even then, companies have to look into the kind of criminal offense involved, whether it is germane to the job at issue, how much time and rehabilitative work has occurred since the crime, in order to justify not making a job offer to someone with a record who would otherwise be qualified for the job. The fair-chance hiring initiative doesn’t garner unanimous support from the business community, especially small business owners affiliated with the National Federation of Independent Business, who are concerned that the state and local laws that have been enacted and the potential of a White House executive order might put them in a bind. Rather than knowing up front whether a job applicant had a criminal record, they would have to wait to find out somewhat later in the hiring process and then face scrutiny from government agencies if they eventually turned down an otherwise qualified job applicant due to a criminal record. Almost one in three adults in the United States has a record that will show up on a routine criminal background check. This creates a serious barrier to employment for millions of workers, especially young men of color and others in communities of color hardest hit by decades of over-criminalization. In response to this national crisis, elected officials from across the political spectrum have embraced “fair chance” hiring reforms. These hiring reforms help restore hope and opportunity to qualified job seekers with an arrest or conviction record who otherwise struggle against significant odds to find work and contribute to their communities. Eighteen states and more than 100 local jurisdictions have adopted “ban the box” and other fair chance hiring reforms, including screening policies requiring strict adherence to the guidelines of the Equal Employment Opportunity Commission regulating the use of arrest and conviction records. And many have done so with strong bi-partisan support, most recently including reforms embraced by Governor Deal of Georgia, Governor Christie of New Jersey, and Governor Kasich of Ohio. Eight states also extend their policies to both public and private sector employers, and a growing number of the nation’s largest employers, including Koch Industries, Walmart and Target, have adopted fair chance hiring measures. Significantly, your cabinet-level Reentry Council prioritized efforts to make the federal government a model employer of people with criminal records. And In May of 2014, the My Brother’s Keeper Task Force strongly endorsed fair chance hiring reforms because they “give applicants a fair chance and allow employers the opportunity to judge individual job candidates on their merits as they reenter the workforce. First, it is news to see a diverse mix of foundation executives working together to promote a desired policy change consistent with their grantmaking priorities and strategies. Second, this is even more newsworthy as an example of foundations using their advocacy prowess on their own on issues that are beyond “foundation self-defense,” the usual roadblock foundations will cite as they abjure any advocacy stance on issues that don’t directly affect the funding and mechanics of how foundations operate. That was long the excuse trotted out to reject foundation advocacy on the estate tax—until the argument was dropped and foundations and their trade association affiliates bean to speak on the importance of a robust estate tax on establishing philanthropic endowments. During a big week in criminal reform, the Department of Justice announced the “Roadmap to Reentry,” a policy plan to guide federal efforts to reintegrate into society, including creating tailored reentry plans for individual prisoners.